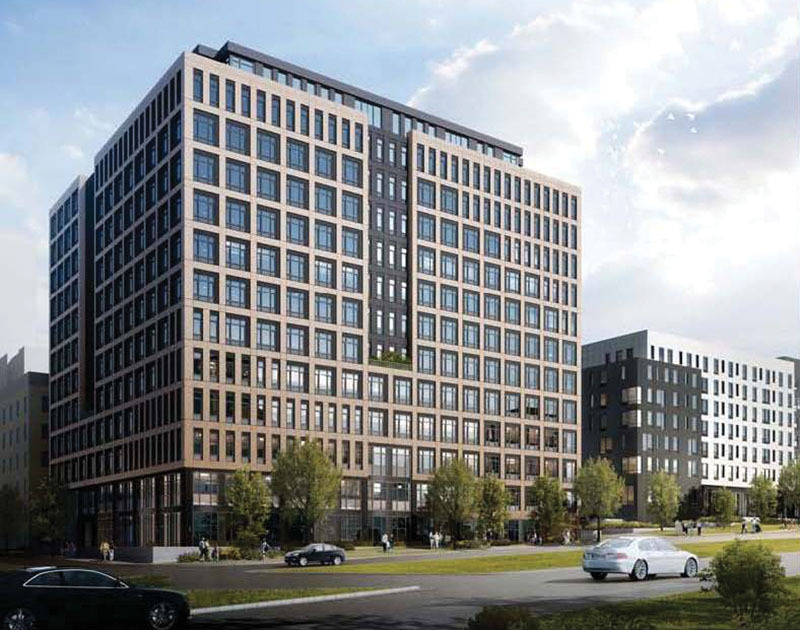 White Plains, NY The Westchester County Industrial Development Agency (IDA) approved on September 27 a resolution of intent to provide financial incentives for a $203 million mixed-use residential development located at 440 Hamilton Ave. The development involves the adaptive reuse of a 12-story office building formerly occupied by AT&T to allow for construction of 255 apartment units and 2,420 s/f of commercial retail space for a green grocer. 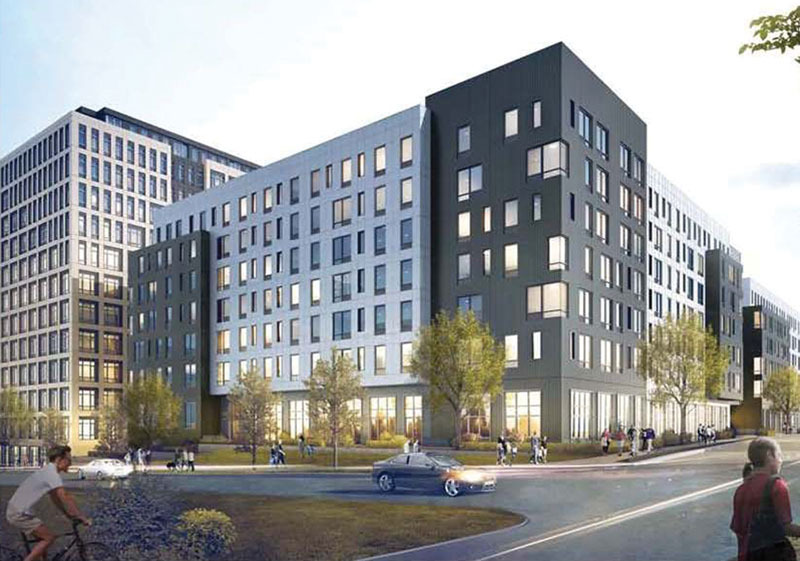 The plan also calls for developing an adjacent surface parking lot on Barker Ave. with a tiered six- and seven-story apartment building with 213 units together with parking for the project’s residents and associated retail space. 6% of the units will be affordable at 60% of Westchester County Area Median Income (AMI). Estimated IDA benefits include $3.335 million in sales tax exemption and $1.685 million in mortgage recording tax exemption for a total tax abatement of $5.021 million. The development is expected to create 659 construction jobs and 31 permanent jobs over a period of 24-28 months. The developer is Rose Associates of New York City. 440 Hamilton Ave. will incorporate green building technologies including LED lighting throughout, electric car charging stations, bicycle storage room, green cleaning practices, low-flow kitchen and bathroom features, Energy Star rated appliances and a building envelope that exceeds NYS Energy Code. “This project is an excellent example of the type of innovative adaptive reuse development that the IDA is interested in providing financial incentives. The IDA is focused on making the county more appealing to new young talent. Updating commercial properties such as 440 Hamilton Ave. with new housing that is easily accessible to Metro-North train service is an important part of that focus,” said Bridget Gibbons, deputy director of the Westchester County Office of Economic Development.